I’ve been into computing for over 15 years, but I didn’t see the Apple light until 2000. I had always liked Macs, but they were way out of my budget. I started working for a publishing house and was using an old Quadra. Even though it was old, it was amazing. It was my first experience of OS 9, and it fantastic. I was then bought an iMac G3 to work on. My first Mac at home was a Beige G3, which I managed to convince my employer to let me have as they weren’t using it and it ran OS 9. It wasn’t the fastest machine, but I loved it, hooked up to a PC monitor and with a 14.4 kbps serial modem. I had this for a few months and really got to grip with OS 9, but was using OS X 10.1 at work and decided to buy an iMac G3 Indigo running 10.2 Jaguar, and it rocked. I kept this for over a year until I decided to buy a brand new eMac with OS X 10.3 Panther. 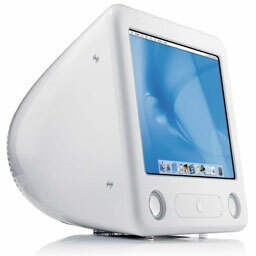 I kept the eMac for over two years until the Intel calling became too great, and I purchased my 17″ Intel iMac Core Duo. I developed a liking for older Macs; it amazed me how well these performed even with the latest operating system. I currently own an Intel iMac Core Duo (original model), PowerMac G4 Cube (modded to be transparent and with a UV cooling fan installed), a PowerBook G3 Lombard, and an iMac G3 DV Snow. Besides the ones I own, I have had a PowerMac G3 Beige, iMac G3 Indigo (twice), PowerBook G3 Lombard, PowerBook G3 WallStreet, PowerBook G4 Titanium, iBook G3 white, iBook G3 Clamshell Indigo, PowerBook 1400cs, eMac G4, PowerMac G3 Blue & White, PowerMac G4 Sawtooth, as well as some very retro machines, a Classic II, an LC II, and SE. I even owned a Newton 2000. I developed my knowledge from upgrading and modding hardware, pushing them to the extreme, and digging into each incarnation of the Mac OS from OS 7 through to the latest version of Mac OS X.
I love Macs and the whole Apple operating system and ethos. I love surrounding myself with Apple hardware. I am a member of many Mac mailing lists and use my experience and knowledge to help other Mac users. My kids are all brought up on Macs, all owning their own piece of Apple history, and I will not allow a Windows-laden machine into my house.